Targeted media coverage, brand awareness, thought leadership. Public Relations. White papers, case studies, bylined articles, sales support. Branding, market research, business plans, marketing plans. BBI’s Content Marketing service helps you systematically deliver quality content that gets read, shared and re-tweeted. We create, augment, pool, optimize, distribute and manage your articles, blog posts, case studies, white papers and tweets…enabling you to consistently reach and engage customers, strategic partners and industry influencers with timely and high impact marketing messages. Today, readers skim and skimmers watch it on Youtube. But they will suspend their texting and tweeting for a concise, informative, timely white paper.  It’s why white papers are a go-to resource B2B marketers looking to demonstrate expertise and build trust. They are also content factories, providing rich source material for multiple tweets and Facebook/Linkedin/Blog posts and articles. ♦ IT, Healthcare and HR subject matter experts manage entire process, from initial intake to final product. ♦ “Modern” white papers tailored for a readership used to messages that are considerably shorter and more visual. ♦ Coordinated content marketing/media campaigns centered on white paper/s. Click for more on the turnkey process. Everything you need to know to produce high-performing white papers. Work in Progress is a weekly podcast that takes on the day’s most pressing workplace issues with a healthy mix of insight, wit and irreverence. Hosts Tom Alexander, an award-winning radio broadcaster and producer, and BackBone’s Charles Epstein engage practitioners, brokers, vendors, and those from the world of sports, media and entertainment, to share perspectives on day-to-day personal and business challenges. Grab a pair of noise-cancelling headphones or earbuds and dig in! BackBone, Inc. is a full-service marketing communications, public relations and business development firm specializing in healthcare, workforce management (HR) and information technology. BackBone has also developed a number of innovative employee engagement, wellness and communications programs, including: PEAQuest (a game-based HRA platform), Weekend Warrior (a wellness competition based on weekend activities), RadioCEO (interviews with some of the world’s most interesting executives), TweetureFeature (combining pop culture and wellness) and mBARC (a mobile app that supports expats and business travelers). Targeted media coverage, brand awareness, thought leadership. White papers are a go-to resource B2B marketers looking to demonstrate expertise and build trust. They are also content factories, providing rich source material for multiple tweets, posts and articles. ♦ Subject matter expertise: IT, healthcare, workforce management. BackBone, Inc. is a full-service PR and marketing communications firm specializing in technology, healthcare and workforce management. Brand awareness, market positioning, thought leadership. White papers, case studies, webinars, social media. On media, pr, marketing, technology, healthcare and assorted other things. Leave us a brief message and we’ll schedule a call to discuss your communications and business objectives…and how we can help you meet them. Thanks for spending time on our site, we look forward to hearing from you. Let us know when you’d like to schedule a call to discuss your challenges and goals and how we can help.